Do you find that we are encompassed with waste plastics? Do you want to solve this white pollution? Do you want to buy a machine turns plastic into oil? Kingtiger can supply with you different solutions according to your requirements. 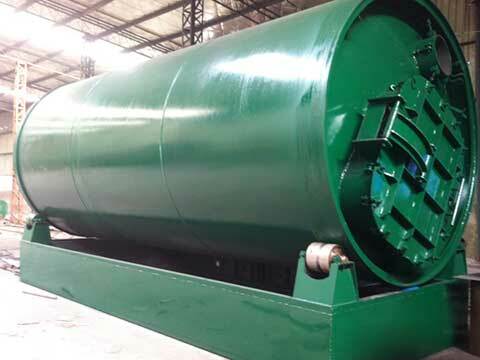 Our company produces and exports all kinds of waste to waste disposal plants. We supply 3 types of plastic into oil plants, our customers can choose any type according to your investment scale and cost. There are batch plants, semi-continuous plant, as well as fully continuous plant. These plants can supply capacity from 6MT to 24MT per day. They have different prices. 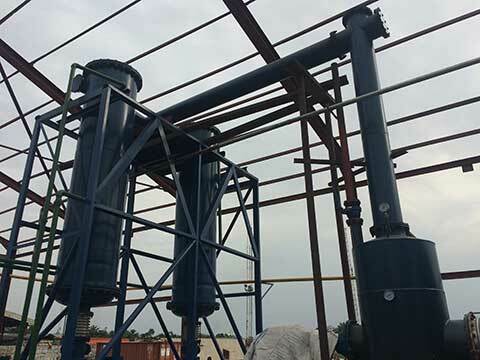 This machine is also called as plastics pyrolysis to oil machine. Smoke: our plant applies wet flue dust removal; smoke in ash will be eliminated by wet dust removal chamber. Residue: solid residue will be produced after pyrolysis, the main component is coarse carbon black. They can be sold as raw material for producing industrial carbon black; or can be mixed with coal ash to produce fly-ash brick. If you have enough investment cost, you can grind carbon black by professional grinding machine to get super fine carbon black. Exhaust gas: there are combustible gas couldn’t be liquefied at normal pressure and temperature; the emission of these gases will cause air pollution. But our plastic pyrolysis to oil system has been equipped with water seal tempering dampener; gas will be used as fuel for heating reactor. On the one hand, it can prevent the air pollution; on the other hand, it can save a lot of fuel cost. Waste water: in the whole process, only condenser and cooler use water for cooling. This water can be used repeatedly. 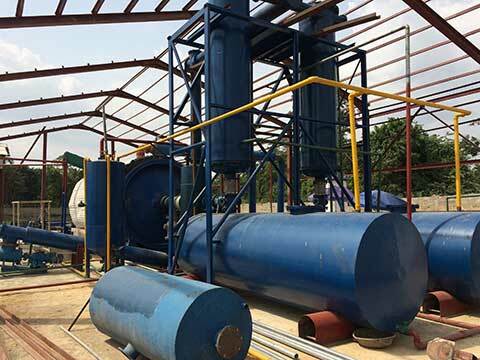 All kind of waste disposal equipment in Kingtiger meets the environmental requirement, if you are interested in waste process, please checks out our products list.